After being on this journey for about 3years+, we have moved on to a full fledged site for our range of handmade soaps. This is the commercial extension of Today’s Naira. We decided it was time to have a standalone site for our soaps. Are we excited about the future? Oh yes we are. Are we scared if this will work? Oh yes of course but consistency is birthed out of fear. It takes great courage to venture into a field that is relatively new with little or no awareness. We have sold these soaps for the past 3 years on our haircare platform. However, we will be closing down this old platform, as its’ time to create something new and we are inviting you to come along on this journey. Support a growing business by placing your orders using the contact form below. Also note that our phone lines have changed from 07026364892 to +2348027173002. Kindly note that we accept International orders from African countries and overseas as well. Global deliveries takes place within 5 days only. Note: the products listed below is a guide as they are our top selling products. To place an order, send a mail to: hello@aswng.com OR todaysnaira@hotmail.com indicating the products you want. Also note that shipping costs will be included in each order based on your residence location. Once you send a mail, we’ll respond with the total cost and it is only when payment has been received, that your order will be shipped. You can also call us on +2348027173002 to place your order. 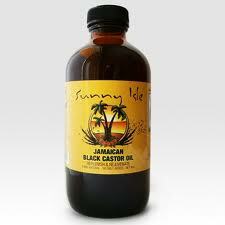 Apply small amounts of Jamaican Black Castor Oil daily to your hair roots and scalp. Then massage the oil into your scalp using your fingertips. You may leave the oil on your scalp overnight. The oil will not soil your pillow as it is easily absorbed into your scalp. Once per week, use Jamaican Black Castor oil as a hot oil treatment, preferably on the weekends. Use generous amount and really massage it into your scalp and hair. After applying JBCO to your scalp and hair, cover your hair with a plastic cap and go under the dryer for 15 to 30 minutes. You should begin to see results in two weeks after original date of usage. Jamaican Black Castor Oil will help your eyelashes and eyebrows to grow thicker and longer, and keep them from breaking. It also helps promote new growth in bare areas of your eyebrows caused by over-tweezing. Massaging a little over the base of your eyelashes before bed prevents thinning and promotes rapid growth, leading to thicker and fuller longer lashes. Wash your face with a mild soap and remove all traces of makeup from your eyelashes and eyebrows soap and remove all traces of makeup and dirt. Dip a mascara wand or a cotton swab into Jamaican Black Castor Oil, tapping off any excess oil. It is important to only apply a thin layer, so use a clean tissue to dab away drips from the wand/Qtip if necessary. Brush the oil evenly through your eyebrows from inner to outer tip. Then use the wand/cotton swab to apply the oil to your eyelashes, just as you would mascara, from root to tip. Leave the JBCO on overnight and rinse off with a mild soap in the morning before you apply your makeup/ moisturizer. Hi. Any chance you can ship to Hong Kong? It would be great to be able to order items from one place instead of paying multiple shipping from US Amazon! Yes we can ship to your location once you place an order. Woe, I just saw this. This is worth exploring! Thank you…I had to start as I was always getting requests to ship in products for ladies who were desirous of growing their hair. How long will it take to ship to Abuja? We ship via EMS Speedpost and it takes 3 days to deliver to Abuja. Thanks for your patronage. Hi. What is the size of the size of the Cold Pressed Coconut Oil, please? We have the cold pressed coconut oil in the following sizes: 7oz and 16oz. We usually advise clients to buy the bigger jar as it saves you money over time cos you get more use out of a 16oz jar than a 7oz jar. why does the roots only have different prices. Does it come in different sizes? If so what is the price for each size? thanks! Applicator bottles with a single nozzle goes for N1,000 while Roots Only has 6 nozzles attached to the comb so it makes it easier to apply oil to your scalp. Both bottles are sold by different makers at varying prices. 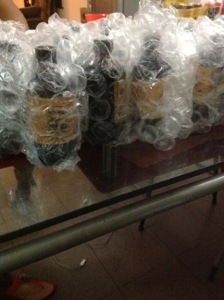 We have exhausted our stock of Jamaican Black Castor Oil. A bottle is N3,500 and our new shipment arrives in 2 weeks time. You can place an order by sending a mail to: todaysnaira@hotmail.com to place your order. Do you have an alternative mail as the mail I sent keeps bouncing back. Hi ok ths is my altrnt email and I also need sublimed sulphur and satin/silk bonnet. Wonderful job. Keep it up. Can u explain the use of the remaining products? Thank u.
Kindly check your email for my revert. Hello Juliet, please check your email for the details you’ve requested. Thank you for your kind words.